Your blog is really cool! I love the 100 things about you!! great idea!I am 5'10".I will be back to read more! you rock!! Hey I just wanted to tell you that I started running after baby #2 also to lose some weight. I've lost 40 lbs. I too was a college basketball player (for a division 2 school in arkansas). Yay for us for making the decision to do something hard and different and doing it! Hi, I found you via Karyn's marathonmaiden blog. 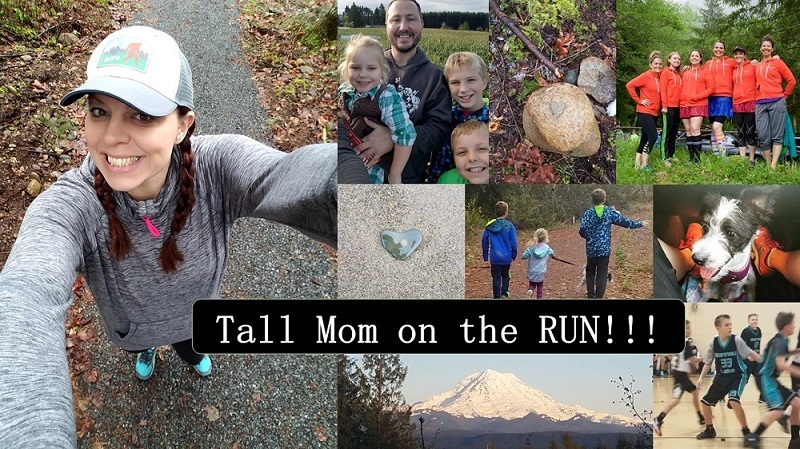 I'm another tall (only not so tall, at 5'9") mummy, living in England and preparing to run my first marathon in memory of my dad. Hello. I'm also a tall runner, 5'11". I can't wait to read more. I'm going to be running my 4th (3 official races, 1 unofficial distance training) marathon this Sunday.